Summer is right around the corner and so are new marketing ideas for your business. 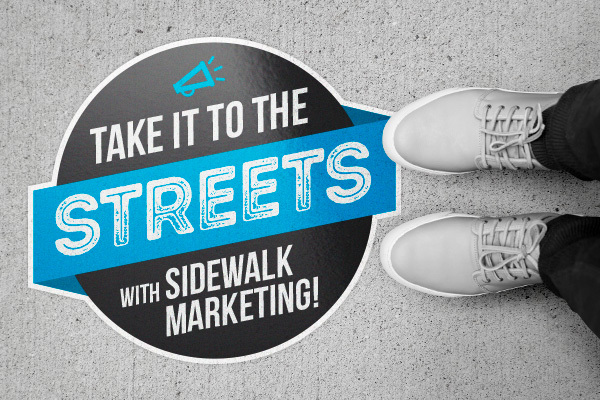 While you’re probably putting plenty of thought into your window and door signage, you could be forgetting an important part of your storefront style… the sidewalk! The warmer weather brings new opportunities to grab the attention of passersby, so don’t let that opportunity go to waste! 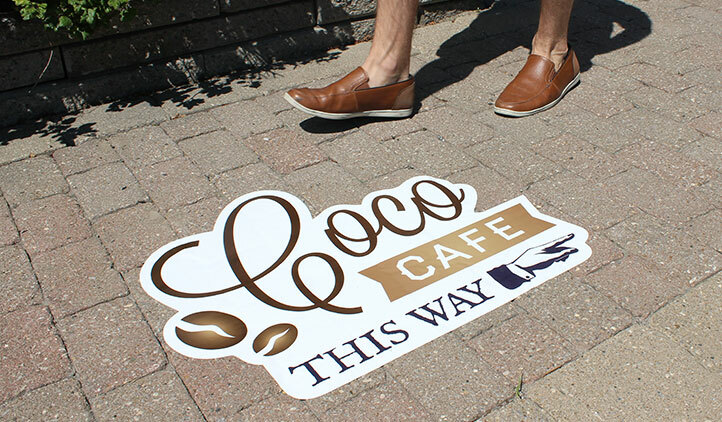 Check out how StickerYou street decals and other sidewalk marketing ideas bring some serious curb appeal to your business storefront, even on a tight budget. 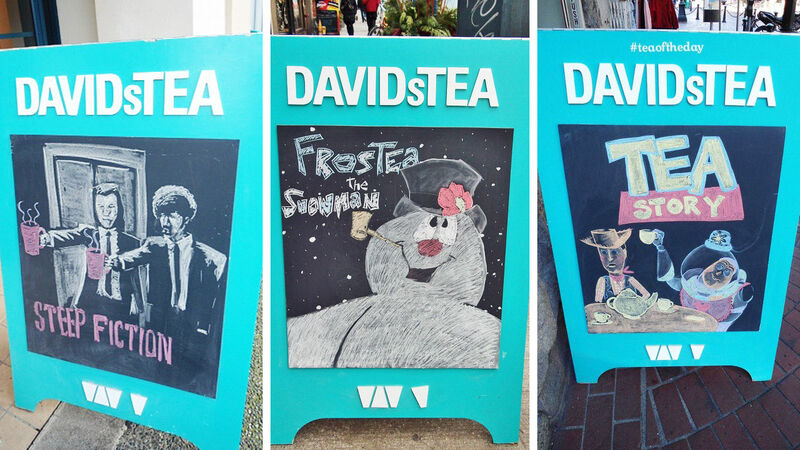 Sandwich boards are a super popular (and effective) signage option for the warm summer days. Not only can you buy one for less than $100, but you can also show off your artistic side and best puns to draw in a crowd. Maybe if you’re lucky, your sign will even go viral online! 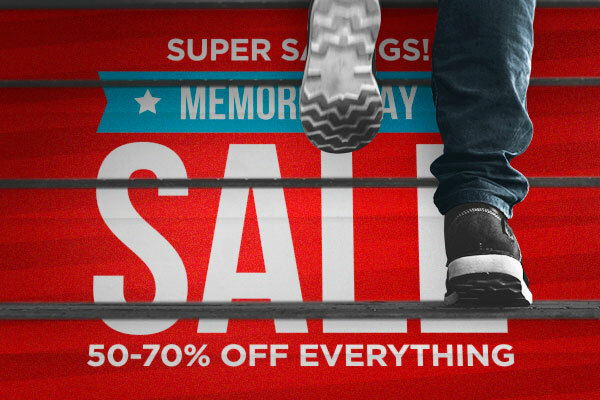 Stair decals take storefront signage to the next level (literally!) They’re a perfect way to make use of unexpected advertising space while grabbing the attention of people, even from the other end of your street. Reverse graffiti advertising is an incredibly unique way to market your business on the sidewalk. 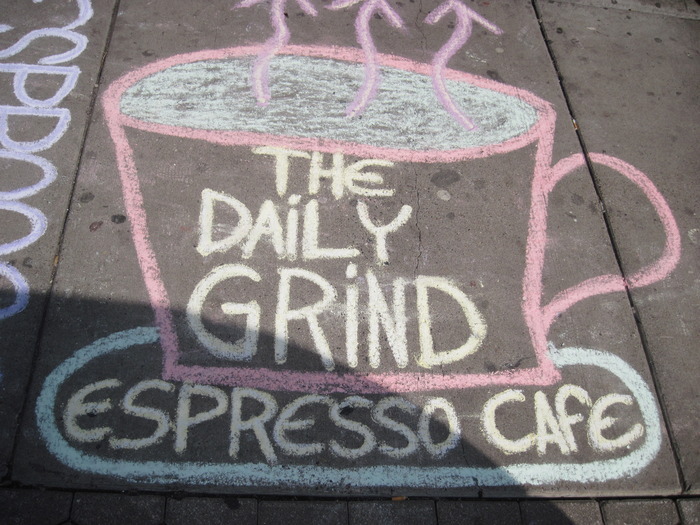 It is done by stenciling your logo with an environmentally friendly high-pressure power washer on dirty sidewalks, and can last for months at a time. If you’re going to try reverse graffiti though, be sure to contact your city or town to see if this advertising method breaks any by-laws. Try out these ideas and be the best business on the block! Summer won't last forever so make the sunny months count.